This video presentation discusses the reality of weather modification and global warming. This video helps us understand the difference between normal jet engine “condensation” trails (and “chemtrails” (which everybody has seen, often without recognition), which last for hours, dispersing slowly into a silvery hazy. This video comes from www.geoengineeringwatch.org. People who see with their own eyes the obvious evidence that is so easily obtained online and still try to discredit the truth as only a “conspiracy theory” are, according to the narrator, either in denial, seriously ignorant, clinically blind, psychopathic or paid liars trying to cover up for the evil entities (mostly governmental or corporate) that are causing and covering-up the problems. Meteorologists appear to have been instructed to avoid this important subject, even when they predict clear skies the next day and then those with eyes to see, observe the spraying that artificially creates a thin cloud-like haze. 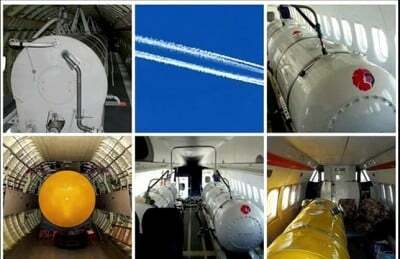 The original source of this article is geoengineeringwatch.org and Global Research.